Nyeri Municipality is located approximately 150km north of Nairobi. The city of Nyeri is the District and Provincial Headquarters and consequently an administrative centre. It covers an area of 200km². Due to insufficient and unreliable infrastructure as well as failing water supply service delivery the health of the approx. 130.000 inhabitants of Nyeri was increasingly exposed to great risks. Growing ratios of diseases such as typhoid fever, cholera and diarrhea clearly indicated this worsening situation. Largely supported by German Technical Cooperation through GTZ in its establishment, the Nyeri Water & Sewerage Company Limited (NYEWASCO) was incorporated on 23rd September 1997. Owned by the Municipal Council of Nyeri, NYEWASCO provides water and sewerage services to Nyeri residents. After substantial consolidation in its operations, also supported by GTZ, NYEWSACO was well prepared to host important infrastructure rehabilitation and expansion investments provided by German Financial Cooperation through KfW. After international competitive bidding, contracts for construction works were signed in May 2004. Following that, construction works for the project have started and are expected to be substantially completed in September 2006. 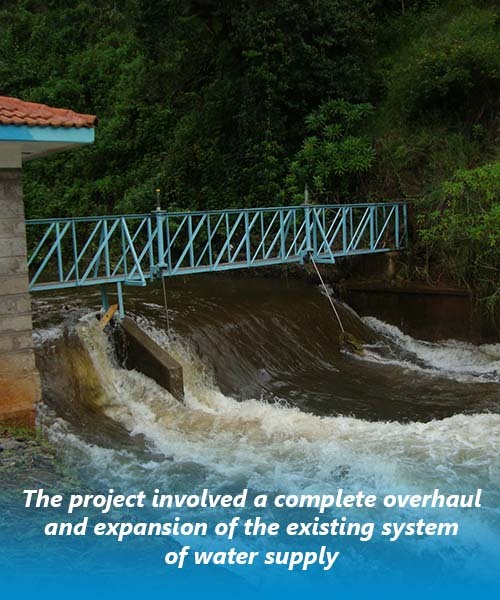 Before the launch of the project, the water supply system in Nyeri consisted of two separate systems covering only the city centre of Nyeri and a part of the town called Kigano. Since the early 90s, this system was unable to provide the at that time approximately 110,000 inhabitants of Nyeri with drinking water. Fresh water became a precious good and many informal methods of water distribution developed having a negative bearing on the health and the standard of living of Nyeri’s population. The cause of the problem is twofold: Firstly, there are insufficient and inefficient water supply services. Secondly, there are too little capacities in the raw water intake, water treatment, reservoirs and distribution network. In addition, today’s estimated population of the Nyeri municipality is forecasted to increase from the present approximately 130,000 persons to around 200,000 persons by the year 2015. The growth of population has outstripped the existing treated water production of approximately 6,000m³/d. 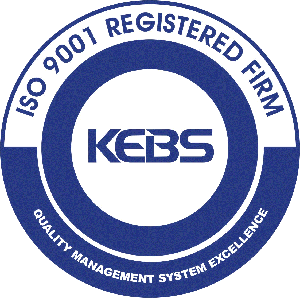 Investment measures of the Nyeri Water Supply Project include the overhaul of existing system of water supply, the expansion of the raw water intake and the treatment capacity of the water works, the expansion of the water storage capacity and of the distribution network, the consolidation and completion of the existing canalization, and the necessary consultancy services for the detailed project planning as well as construction supervision. 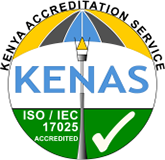 A new Water Treatment Plant of a capacity of 21,000 m³/d has been designed and is under construction at the Kamakwa trading centre in the western part of the Nyeri municipality. It is to augment the existing works. This will cater for current and future water demands up to the year 2015. The existing transmission and distribution mains will be extended and augmented to increase the customer base of NYEWASCO. Site Works including Access Road, Fencing etc. Water Mains: Varying in diameter from 80mm to 500mm in materials uPVC and lined ferrous pipes appr. length 85,000m. Associated works included like installation of valves, fire hydrant, flow meters etc. and construction of chambers etc. Infill Sewers: Sizes 225mm to 300mm. Total length appr. 20,000m including construction of manholes etc. 225mm dia. to 300mm dia. GMS / uPVC main, length approx. 6 km. Block Mapping and Establishment of Geographical Information System (GIS) and Ancillary Works. 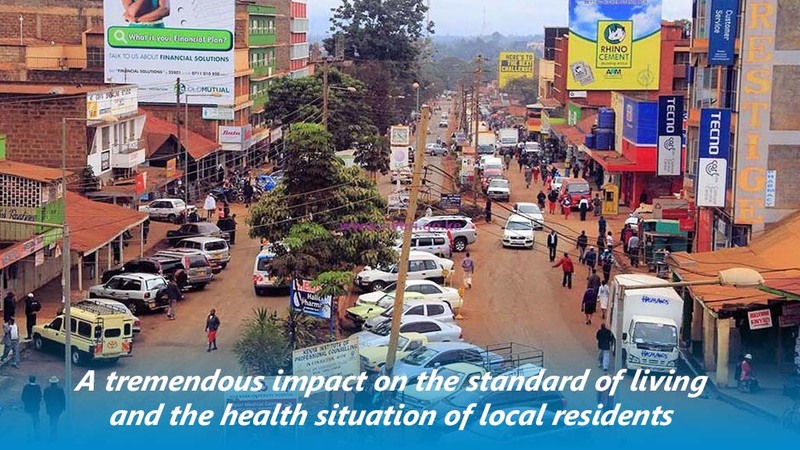 The Continuous, reliable and sufficient supply of Nyeri’s population with safe drinking water has a tremendous impact on the standard of living and the health situation of local residents through a considerable reduction of the occurrence of waterborne diseases. 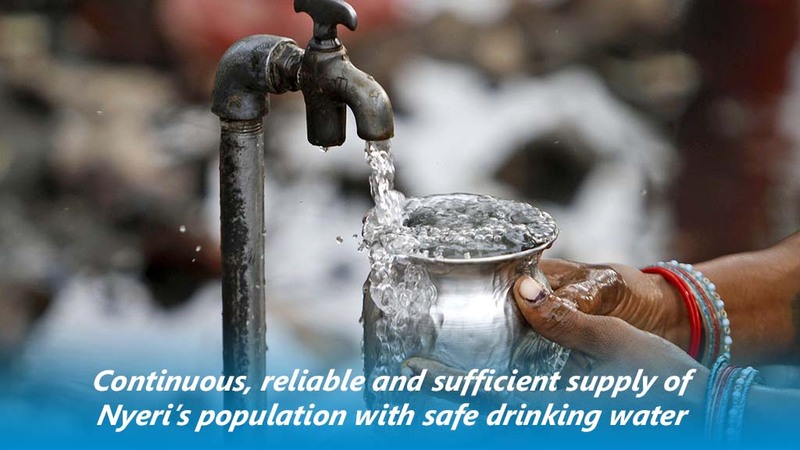 Especially the urban poor benefit from the project through the provision of reliable services supplying drinking water. Being a disadvantaged group, they were to suffer most from insufficient water supply in the Nyeri municipality. The Nyeri Water Supply Project was able to increase the amount of water connections in Nyeri. 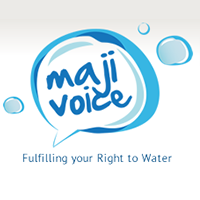 Many people, who formerly had to purchase water at a water kiosk, water stand or by informal methods of water distribution, now have water supplied directly to their homes by means of direct water connections.